11th November, 2000 saw the disaster in the tunnel of Gletscherbahn Kaprun 2 funicular, Austria, claim the lives of 155 people, it left only 12 survivors from the burning train. They were 10 Germans and 2 Austrians, the train was carrying skiers on their way to the Kitzsteinhorn Glacier. The train service opened in 1947, and was modernized in 1993. There were two trains that worked simultaneously taking passengers up and down. The train could carry up to 180 passenfers, There were no smoke detectors on board, as it was felt (by Professor Joseph Nejez) that fires could not be an issue on the train. Oh how wrong was he!? 161 passengers and one conductor boarded the train and the electric fan heater in the unattended cabin at the lower end of the train caught fire. The fire melted the fluid in the brake system, the train then halted unexpectedly 600 meters into the tunnel as a built in safety feature. The passengers had begun to try and get out of the train, 12 people left on the advice of a former firefighter there. By the time all this was coming to light, people were already unconscious thanks to the toxic fumes, and the conductor was unable to open any further doors. Those trapped inside were taken out by the smoke, and eventually the fire itself. Two fleeing workers from the Alpine Center mistakenly left their exit doors adding fuel to the situation, of four that tried to escape the center they were only able to save one. 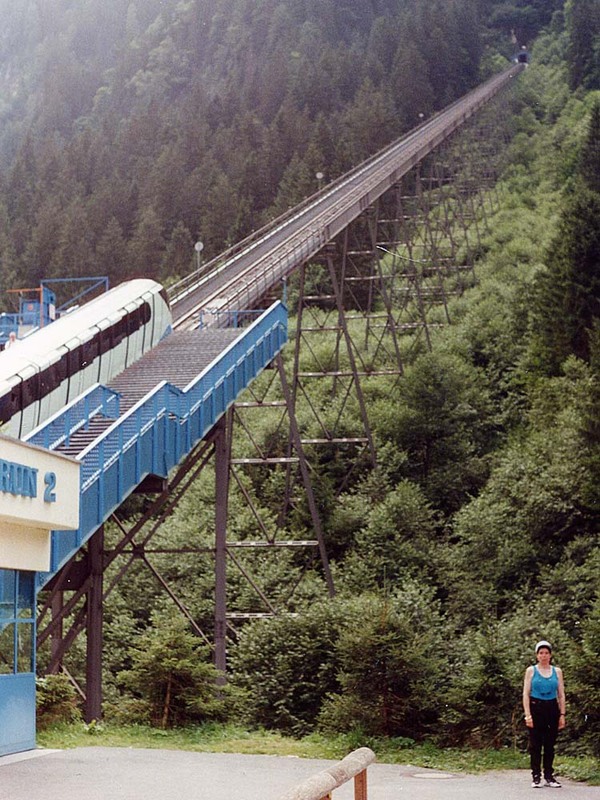 The furnicular was not opened again, instead it was replaced by a gondola lift and the stations were abandoned. The tunnels have been sealed and remain unused to this day, with the victims of the disaster that they could not fully recover left in a bizarre and macabre grave.